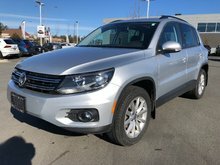 Home > Used Vehicles > Volkswagen > Tiguan > 2015 > 2015 Volkswagen Tiguan Comfortline 4Motion w/ Technology Pkg. 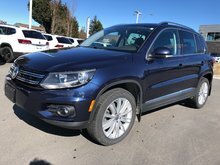 2015 Volkswagen Tiguan Comfortline 4Motion w/ Technology Pkg. 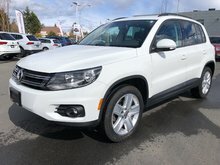 4Motion AWD Compact SUV! Alloy Wheels! BC Owned! 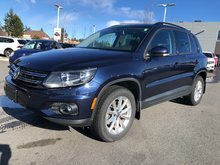 LOW KM’s! Technology Package! 4-NEW TIRES! 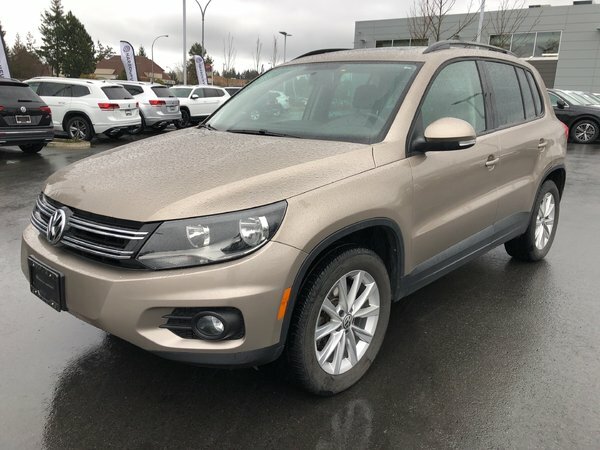 17” Alloy Wheels, Premium 8 Radio – touchscreen with 6-disc CD Changer & Fender Speakers, Leather wrapped multifunction steering wheel w/radio controls, voice activation and Bluetooth connectivity, Navigation system, Power panoramic sunroof w/power sliding sunscreen, Leatherette seating surfaces, heatable front seats, power heatable and adjustable exterior mirrors, CLIMATRONIC - dual zone climate control, multifunction trip computer, roof rails, cargo area cover, cruise control, Privacy Glass, Rear view camera.